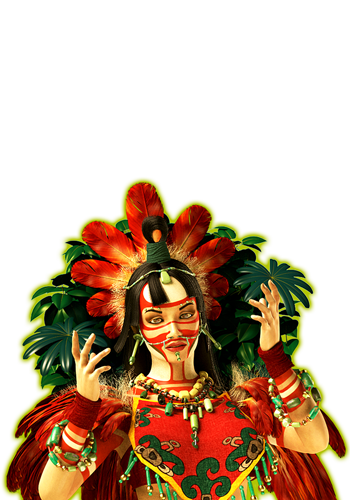 Immerse yourself in the Ancient Mayan Culture and uncover its riches! 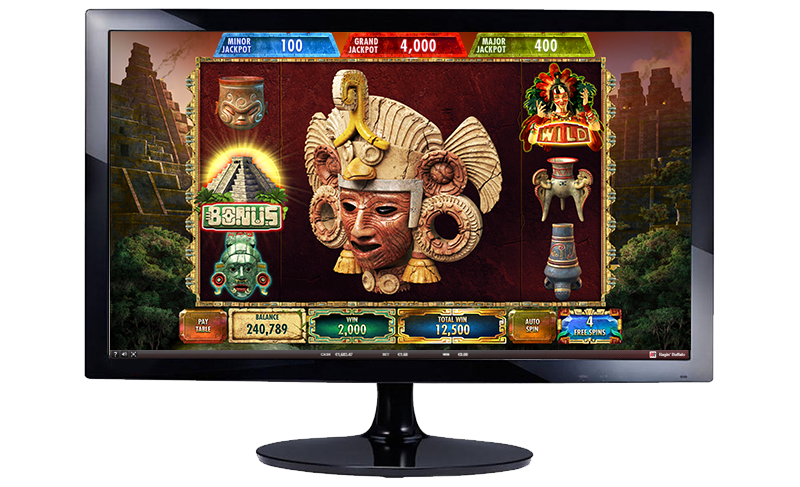 Experience real adventure in this 5x3 reel video slot in which the powerful Mayan Queen guides you towards incredible treasures in order to give you a unique experience full of wonder. 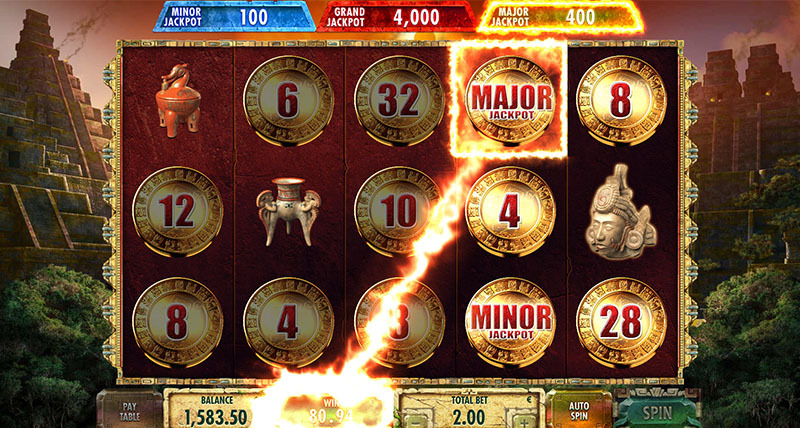 Slot machine game with 5x3 reels, 50 paylines, and a Free Spins Bonus Feature. 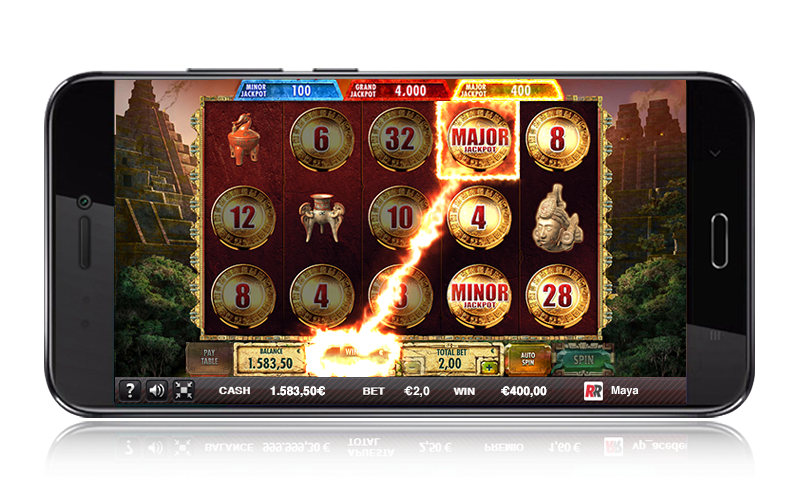 Free Spins Bonus Feature with "HUGE" symbols. Minor, Major, and Grand Jackpots. Spain, UK, Italy, Portugal, Malta. In progress: Sweden. Obtaining 3 bonus symbols unlocks the Free Spins Bonus Feature with 7 spins. During the Free Spins Bonus Feature, getting 1 Huge bonus symbol will unlock 3 additional spins. 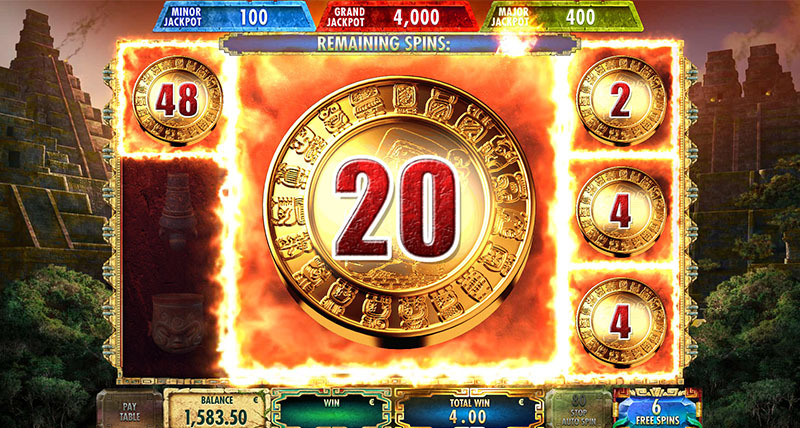 During the Free Spins Bonus Feature, oversized Huge symbols appear. 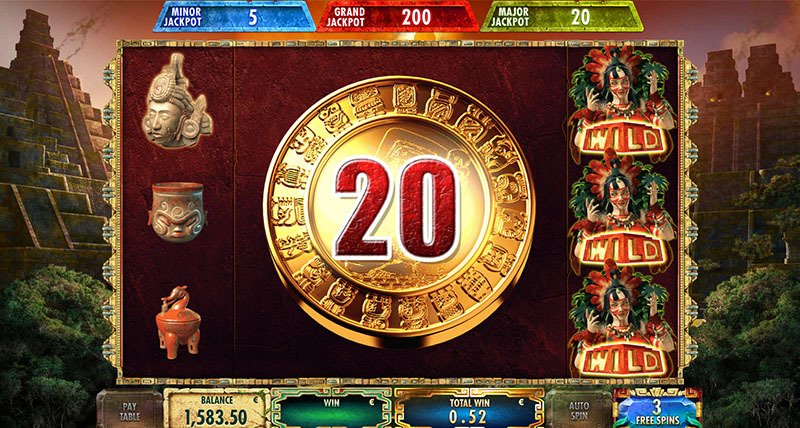 Obtaining 1 Huge coin will initiate "Mayans’ Gold". 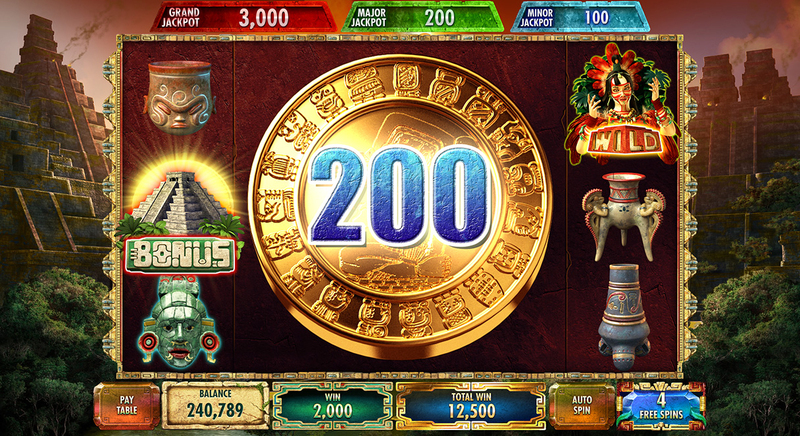 Getting 6 or more gold coins anywhere on the reels initiates the "Mayans’ Gold" feature. 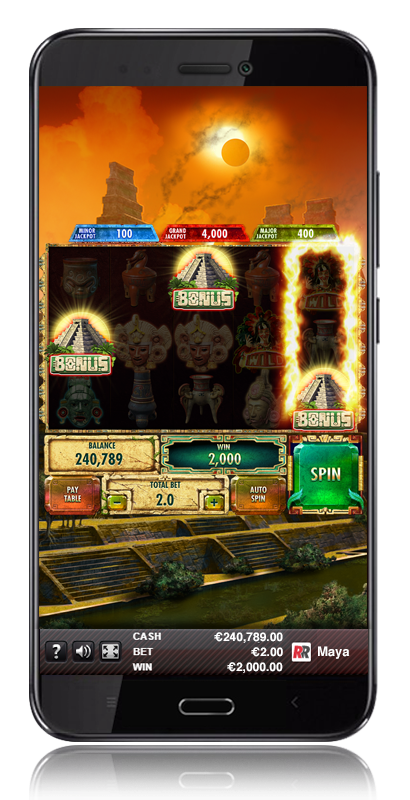 During this feature, the coins remain in place and you obtain 3 free spins. Each additional coin acquired will remain in place on the reel and will reset the counter to 3 spins. 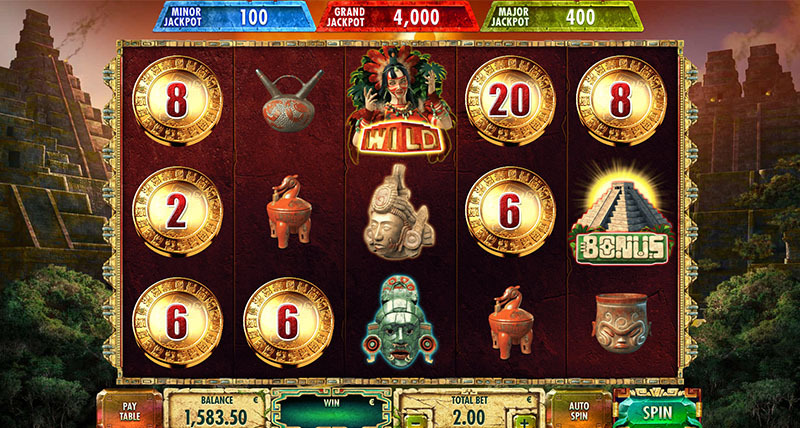 "Mayans’ Gold" ends when the free spins run out or when all of the reels’ spots are filled with coins. 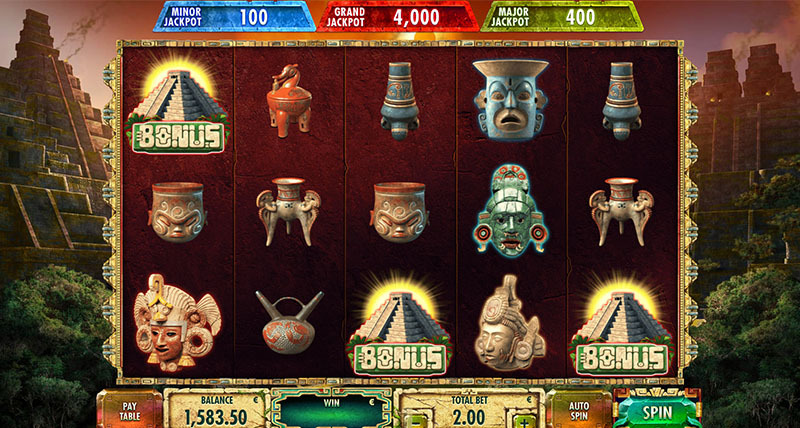 During the "Mayans’ Gold" feature, you can obtain Minor, Major and Grand Jackpot prizes.